The DRIVER of any TOYOTA who comes to the designated Ski the NW Rockies ski area on the designated day will receive a FREE lift ticket VALID FOR THAT DAY ONLY. No vouchers or passes are required. Just drive your Toyota to the mountain on that day. ***THE CUSTOMER MUST BE DRIVING A TOYOTA OR SCION (Toyota’s youth division) To get the free lift ticket. Showing keys, registrations, or telling us you really have a Toyota at home DOES NOT WORK. Toyota representatives will be in the parking lot at each resort for each event under a Toyota tent. 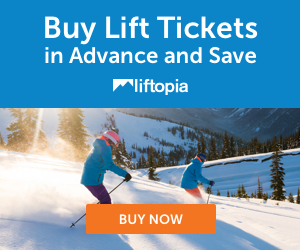 When the customer arrives in in their Toyota they receive a free lift ticket for that day. It’s that simple. If multiple people show up in a Toyota and they all show proof of ownership, ONLY THE DRIVER OF THE TOYOTA THAT IS THERE WILL RECEIVE THE FREE LIFT TICKET. Born on the single chair at Mad River Glen, the Chief Snow Junkie is a lifelong ski/snowboard bum that has lived in Steamboat and Summit County and currently resides somewhere around Big Sky, Montana.